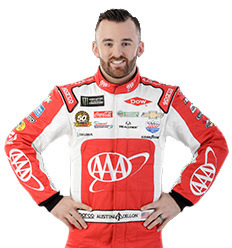 "We had a meeting on Monday and talked about what we needed to do here at Richmond Raceway as a team and then we came here and we did it, so I am really proud of everyone on this Richard Childress Racing team. We had a really fast AAA Chevrolet Camaro ZL1 tonight, especially during the last run. I think we actually had a little something for at least the top three spots. We had a little bit of a mess-up on our last pit stop and lost some track position, but we passed some good cars there at the end, including Kyle Busch and Brad Keselowski. I'm really proud of the AAA team. I just wish we could have been a little further forward to see what we had. I saved a lot of my stuff for the end and was ready for that last run. But, we didn't have enough. I'm definitely excited about the direction our team is going. It's always good to go into the off weekend with a solid, top-10 finish." 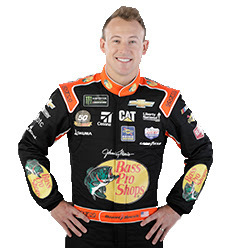 "Coming out of Richmond with a top-20 finish? We'll take it. This No. 8 team is focused on putting one foot in front of the other. It's great to have a group of guys that haven't given up on me. We didn't finish exactly where we wanted, but we definitely out-kicked our coverage from the positions we've put ourselves in over the last few weeks. We'll take it and hopefully it's a building moment for everyone on this No. 8 Bass Pro Shops Chevrolet team. I still love racing at Richmond and I feel like I know what I need when we come here in the Fall to contend and run where our teammate Austin Dillon was tonight. Those guys had good speed all weekend, so hopefully we can trend a little bit in that direction and build on it."